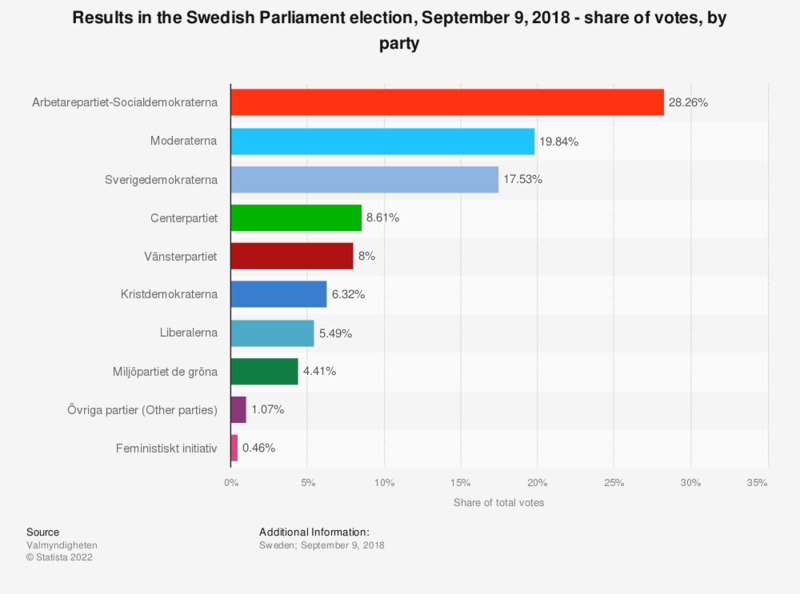 This statistic shows the share of the total votes each political party received during the Parliament elections on September 9, 2018 in Sweden. Arbetarepartiet-Socialdemokraterna was the biggest party in the parliament with 28.26 percent of votes. In second place came Moderaterna with 19.84 percent of the total votes. Sverigedemokraterna ranked third with an election result of 17.53 percent. Swedish Parliament (Riksdag) elections are held every four years. The next parliamentary election is set for 2022.